Very detailed and easy to understand. It helps a lot with my playing style. Thank you from the bottom of my heart. Great course Steve,as are all the others, thank you for being a teacher. 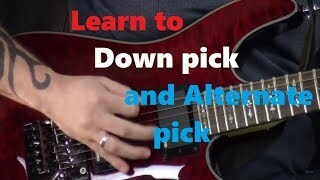 THIS COURSE CAN HELP ANY PLAYER FROM BEGINNER TO THE ADVANCED! IT DEFINITELY HELPED ME WITH MY LEGATO, BUILDING MY STRENGTH AND STANIMA. 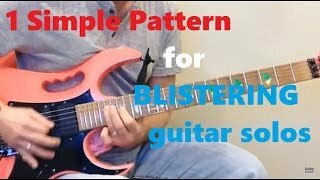 HELPED ME UNDERSTAND THE PENATONIC SCALE AND ALL FIVE POSITIONS IMPROVING MY KNOWLEDGE IN MOVING AND USING THE ENTIRE FRETBOARD! THE BEST IN MY OPINION!!!! 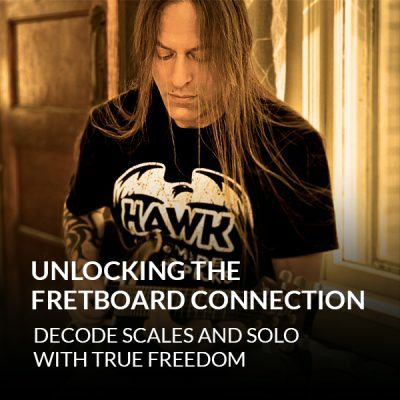 Keith W - Another great package of information and practical guitar. Well presented and easy to follow. Since learning from Steve I have improved my guitar playing immensely. Thanks again Steve for being here. Great Course to help organize your practice routine. One of my favorites, lots of good stuff. Five stars. 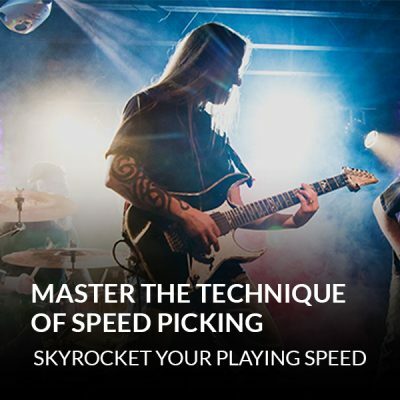 I bought this course to have exercises that sharpen my guitar performance. 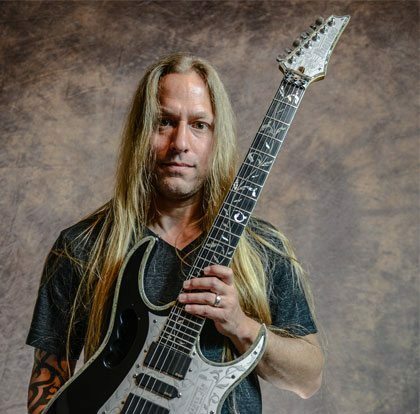 The course has truly helped and has allowed me to play things that in the past was difficult, but now with my improved technical ability, has helped me further grow as a musician. I bought this course because i needed some exercises that would help me to coordinate my both hands, get me some stamina. It gave me a lot more. 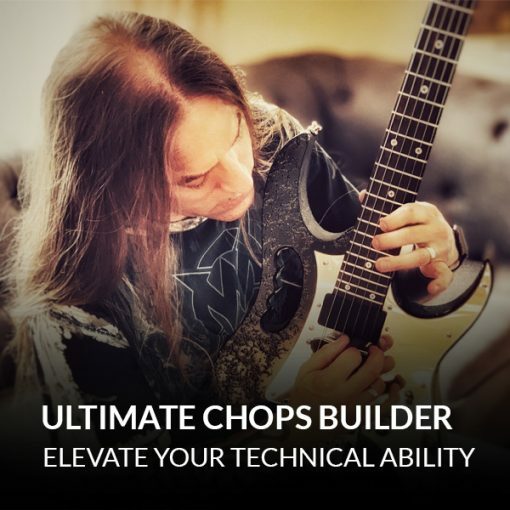 Ultimate Chops Builder has a tone of information and exercises to build your chops. It can be a little overwhelming because it has so much information. 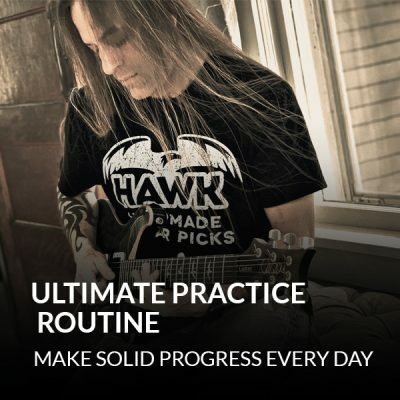 The best thing to do is to pick a few exercises and build them up slowly until you have them down and not overwhelm yourself with trying to do too many exercises at once. 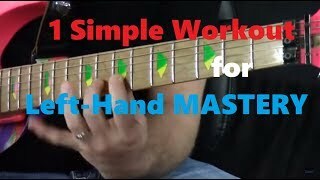 But it is a great course for building legato, alternate picking and hand synchronization. Once again, Steve is the best, hands down.